We are a Christian community working together to serve all people. “Christian community” reflects our five core values. Gospel-Centered: Everything we do and say is to be in light of the Gospel (good news) of Jesus Christ as seen in his life, death, resurrection, and ascension. Personal Growth: The new creation that we see signs of in Jesus’ ministry and resurrection is at work through his Spirit in this world and in us. This work is ongoing and continual in our lives. Community: We were created to be in relationship with one another. This is how God most often works in this world both for the good of the world, and for the good of the individual. Worship: As humans we are created to worship. Worshiping the true God (the only one worthy of worship) reshapes and reforms us to be truly human. Worshiping anything else (idolatry) leads to spiritual death. Mission to the World: The church exists for the benefit of those who are not its members. The church is to be the vehicle of redemption and blessing to the whole world, beginning in its local community. Cobblestone also embraces three historic creeds: Apostles' Creed, Nicene Creed, and Athanasian Creed. Along with these four confessions: Heidelberg Catechism, Belgic Confession, Canons of Dordt, and the Belhar Confession. 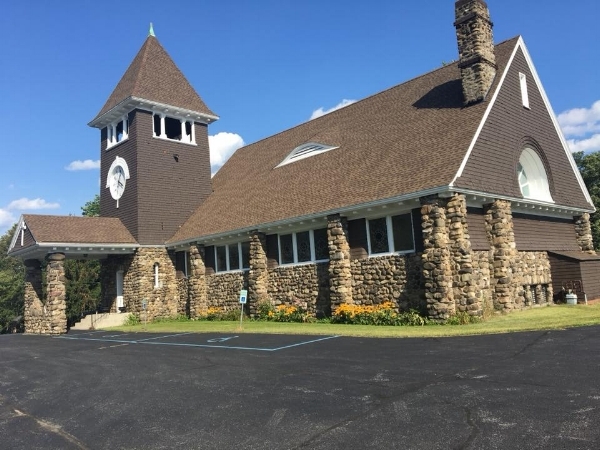 Cobblestone is a member of the Schenectady Classis in the Reformed Church in America (RCA). The RCA is a fellowship of congregations called by God and empowered by the Holy Spirit to be the very presence of Jesus Christ in the world. The shared task of the RCA is to equip congregations for ministry--a thousand churches in a million ways doing one thing--following Christ in mission, in a lost and broken world so loved by God.